If you are into old-fashioned slot games, then the Super Spinner is the slot game for you. This is a 5-reel and 10 payline online slot game that rewards a progressive jackpot. If you are a beginner and want to learn the basics of the slot games, then you should definitely try this game out. Blueprint Gaming is behind the development of this slot game. It has a record of producing high-quality games with amazing graphics. It was established in 2001 and has developed land-based and online games for almost every big casino in the business. The slots game is all about the free spins and multipliers. It is so easy to play that even a beginner can earn the big fortune with this. The progressive jackpot is very rewarding. 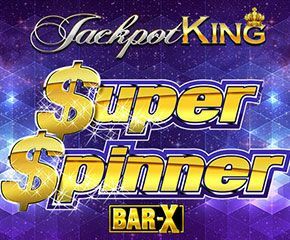 Super Spinner slots is connected to the Jackpot King progressive jackpot network. So the first step in winning the jackpot is collecting 5 Jackpot Kings in one spin. If this happens, then you are taken to the next step which is: you will be given a different set of reels to spin and you need to collect 15 crowns. Each crown will take you one step above. At 15 crowns, you will reach the Wheel King. When you rotate this wheel, you will be either rewarded high multipliers or the jackpot. Apart from the jackpot, there is a free spin feature. 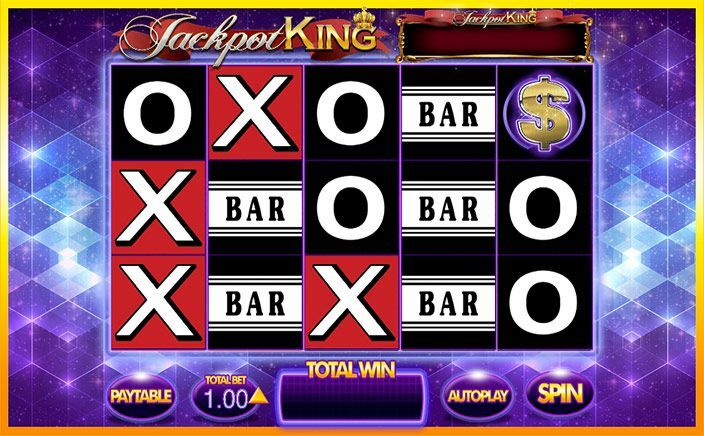 If you land 3, 4 or 5 scatter symbols on the reels you will be awarded 1, 3 and 5 free spins. If the scatter symbol appears during the free spins, you get additional free spins. So your total free spins can be up to 50. The free spin can also be re-triggered by landing more of these scatter symbol. The scatter symbol is the ‘super spin $’ symbol. The other symbols are the standard X, O and the bar. There is also an autoplay option which you can press and the game keeps playing itself. You just need to set the bet amount. Super Spinner slots may be based on an old classic slot game. It’s Jackpot and the super spin features are thrilling. This slots game is sure to keep you hooked for a long time.